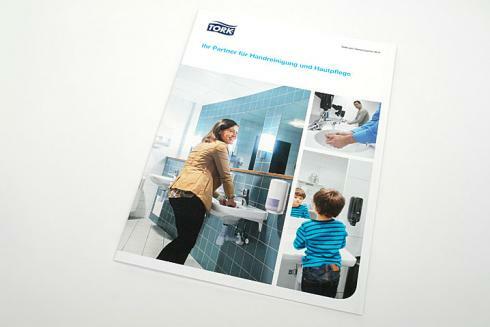 Centigrade developed, and regularly updates, communication material around Hand Hygiene for Tork, a brand of SCA, a leading manufacturer in the healthcare, hospitality and hygiene industry. This particular brochure is made for the Benelux and D-A-CH markets, featuring German, Dutch and French. Containing informational and instructional articles, this high end brochure was produced in line with the brand image of Tork and communicates the product ranges, benefits and values to its target audiences.